1. Boil water in a large pan. Once water comes to boiling temperature immerse the pasta. Turn heat to low and cook for another 10 minutes. Keep it aside till it cools down. Or cook the pasta as per the instruction given in the package. 3. Mix pepper powder and salt with the mayonnaise. 4. 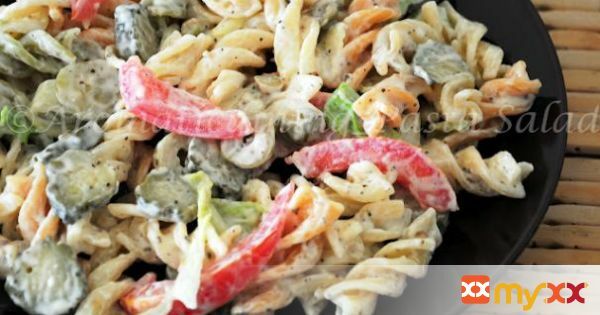 Combine all the vegetables and mayonnaise dressing with the pasta and mix gently.